Palmako Ly Garden Office: The Palmako Ly Garden Office is an Easy-to-Build sectional style garden office. 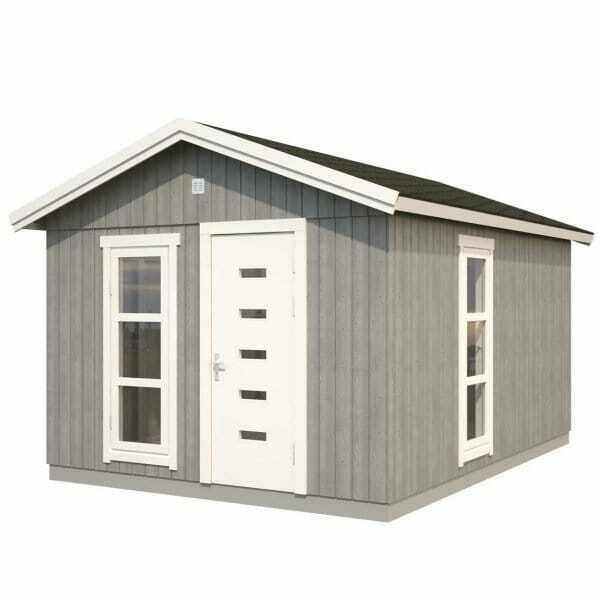 It has been designed for the cold climate - Scandinavian Garden Office Market. The Palmako Ly has Pressure Treated Bearers of 145mm in Depth to allow for 145mm of Under Floor Insulation. The Cladding of this Garden Office is 18mm Tongue and Groove Board of North European Spruce. The Frame Work is 45mm x 70mm with the Option of Putting an Inner Skin of 19mm Spruce T&G Boards. When the Inner Skin Option is Chosen this will give a 70mm Wall Cavity for Wall Insulation (Wall Insulation not supplied) The Palmako Ly Garden Office features High Quality Double Glazed Windows (Hinged - Opening inwards) ? these combined with the Palmako Roof Insulation detailed below will give a very high specification garden office or extension to your Living Area at a Superb Value price!